This is WOW News 247: Kim Kardashian Finally Reveals She is Voting For Hillary Clinton As Next US President! 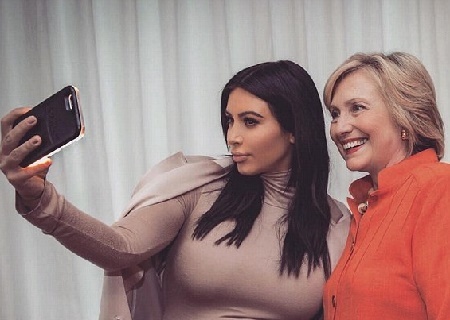 Kim Kardashian Finally Reveals She is Voting For Hillary Clinton As Next US President! One of the "Keeping Up with The Kardashians" reality TV star, Kim Kardashian has finally revealed who she's voting for in the upcoming US Presidential election in November this year. If you have been following Kim K on the US election trend, you would think she's going to vote Trump, but just recently, she seemed to make a swift turn in her decision as she released a statement Saturday making it clear she is voting for Democratic presidential candidat, Hillary Clinton. 'Without a doubt, I stand with Hillary. I'm with her. I believe Hillary will best represent our country and is the most qualified for the job.